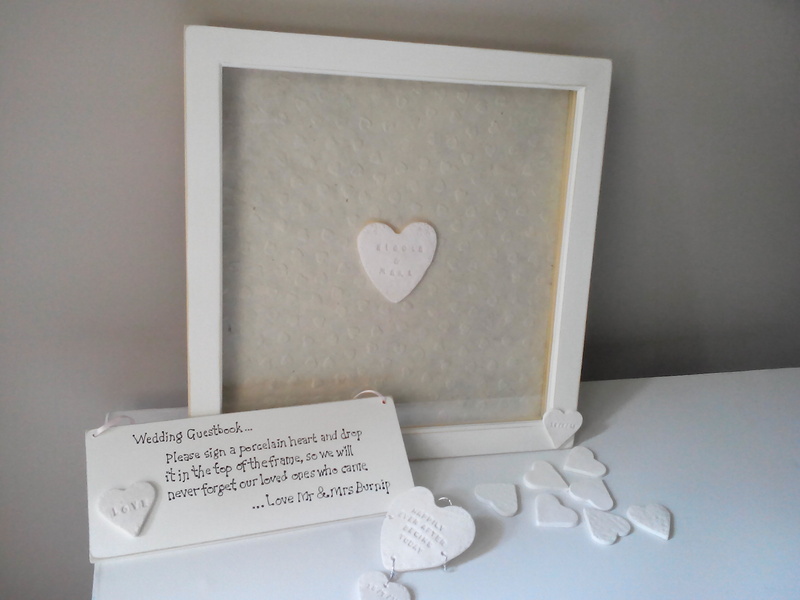 The drop box guest book frame comes complete with handmade porcelain ceramic hearts and personalised decorative centre piece which can be designed and kiln fired to your requirements, such as using two or three hearts with dates and names, adding embellishments or using different shapes, such as stars or circles. 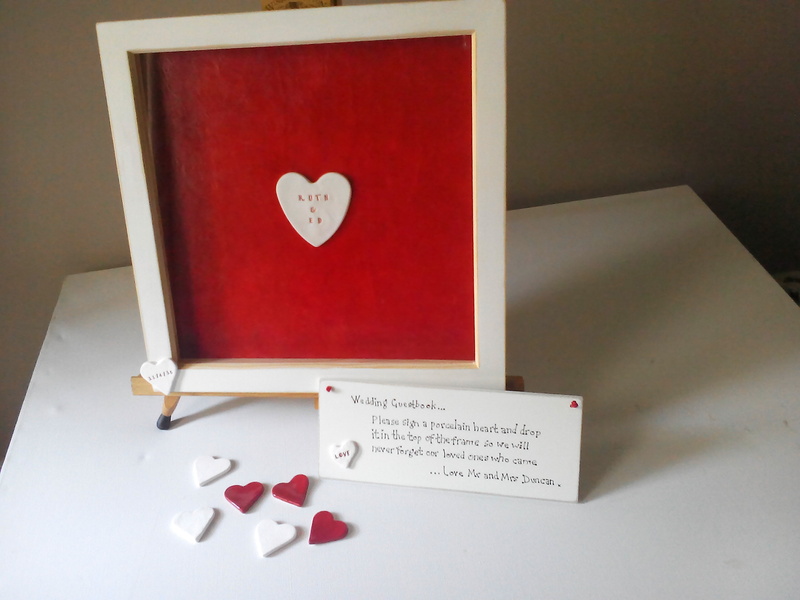 You will need to display he drop box guest book at a slight angle, leaning back, such as using an artist easel to place it on . 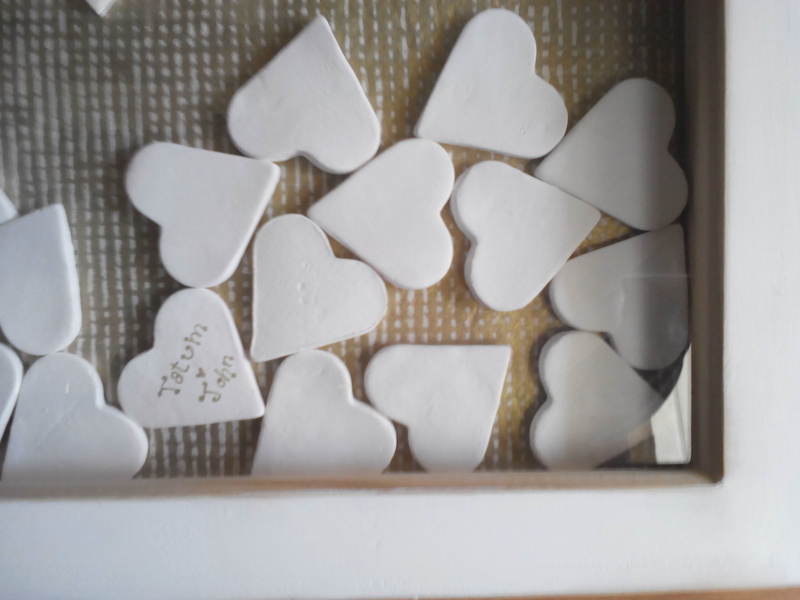 This is so that the hearts can slight down at the right angle and remain in place. 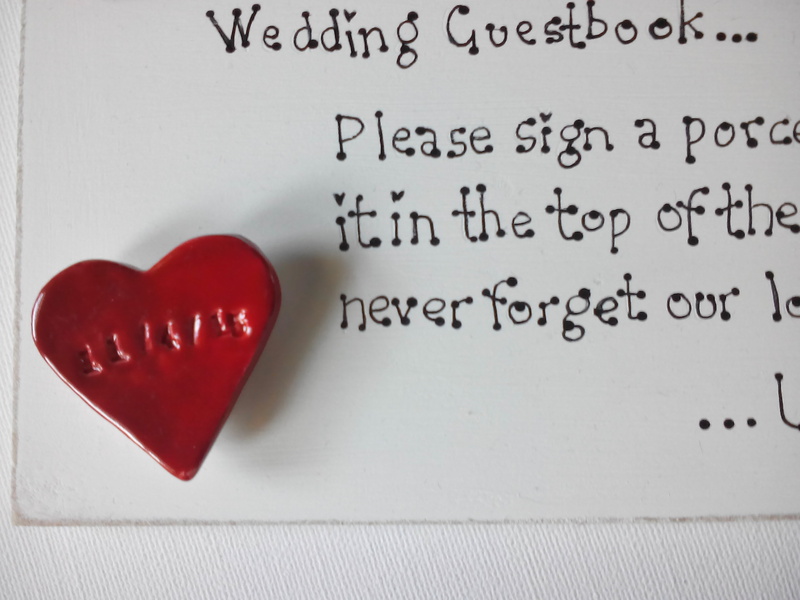 Details have been given below about how to re-arrange and alter your guest book after your party to your requirements, it also gives you the option of removing any unwanted pieces. 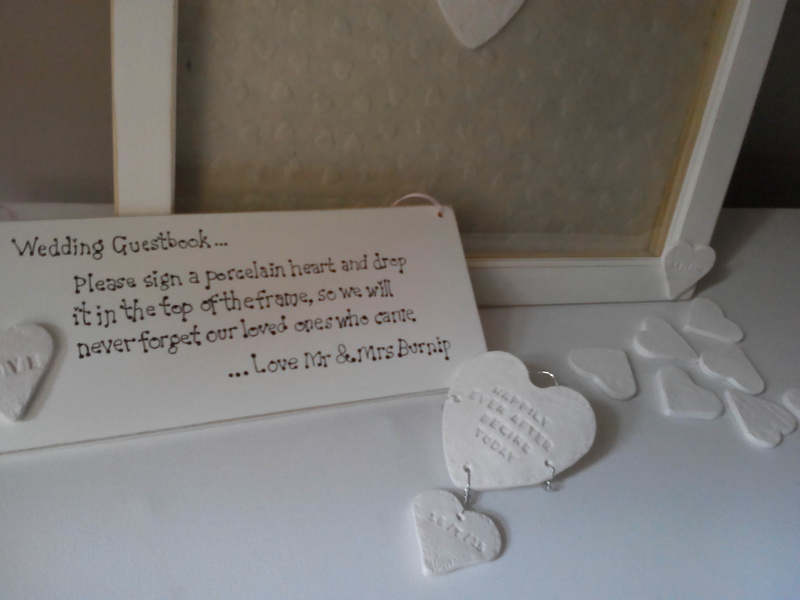 How the guest book works. 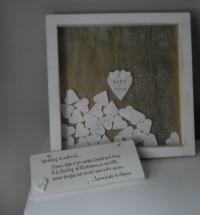 The party/wedding guest takes a porcelain heart and writes a word/name on and then drops it in the top slit of the box which in turn creates a picture and memory of the loved ones who came and shared your special day. 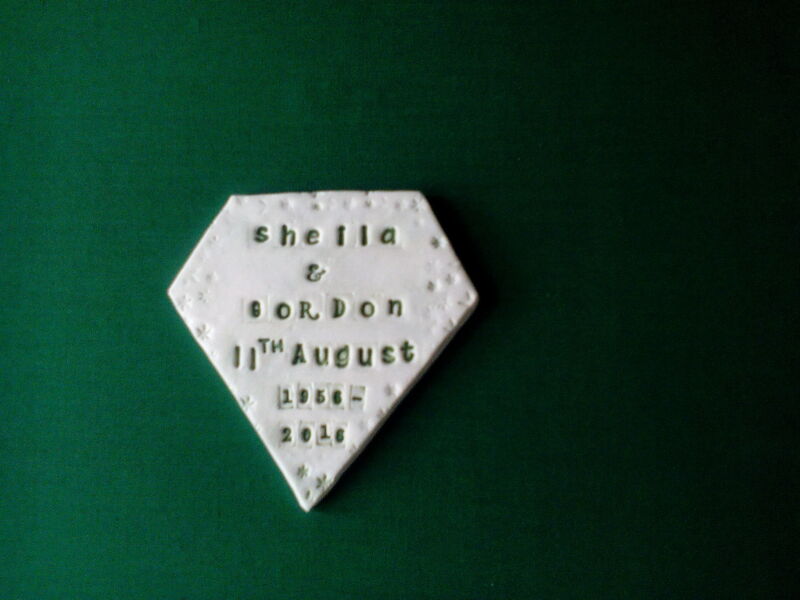 Colours and backgrounds can also be changed to suit. 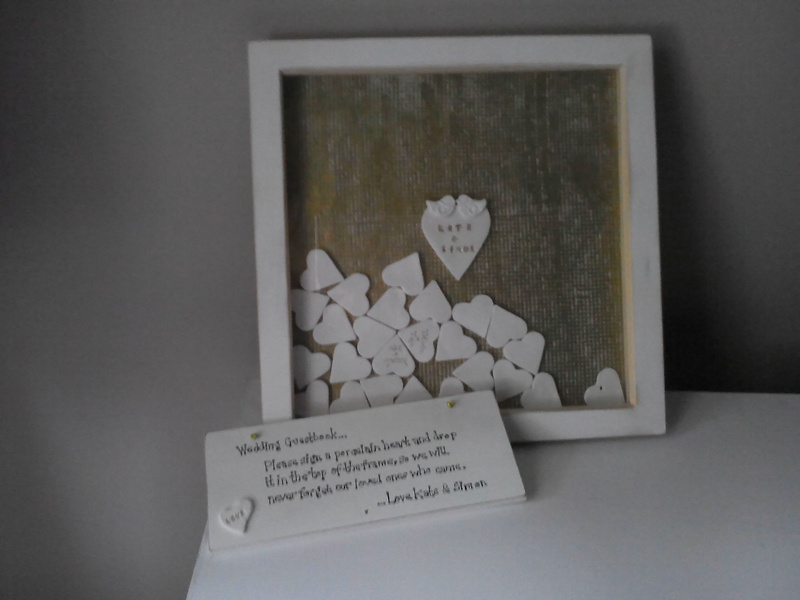 Some of our example swatches can be shown in our pictures however we do take new requests for patterns and colours. 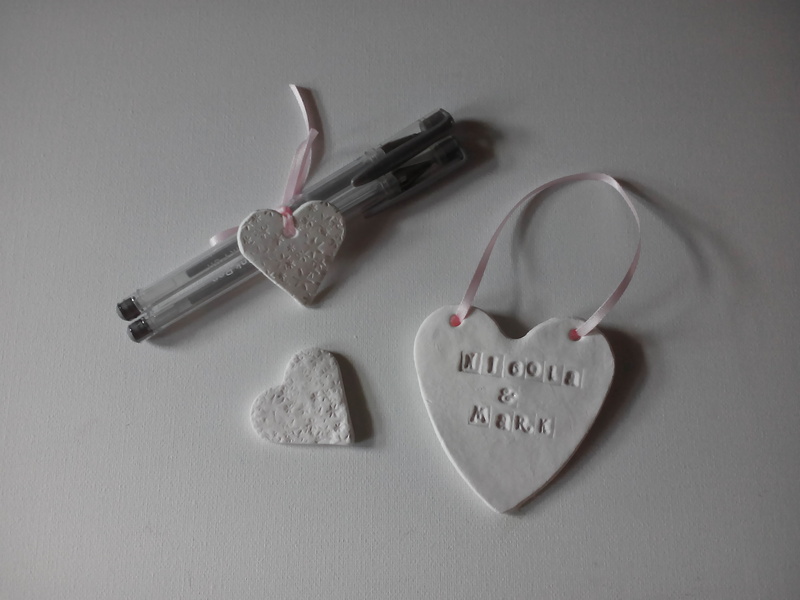 2 pens are supplied with the guest book, which are either silver, gold or black. 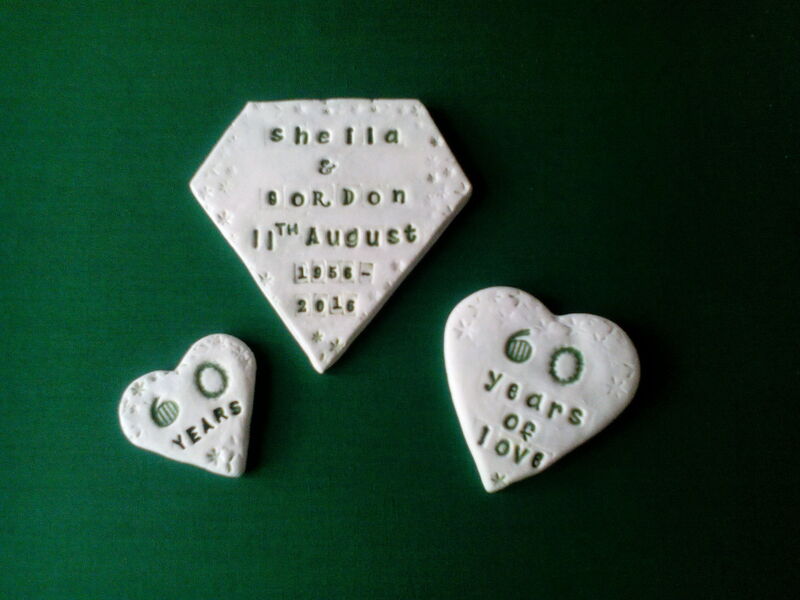 If you would like to discuss any designs or order details first, please use the contact us button at the top of the home page to get in touch. 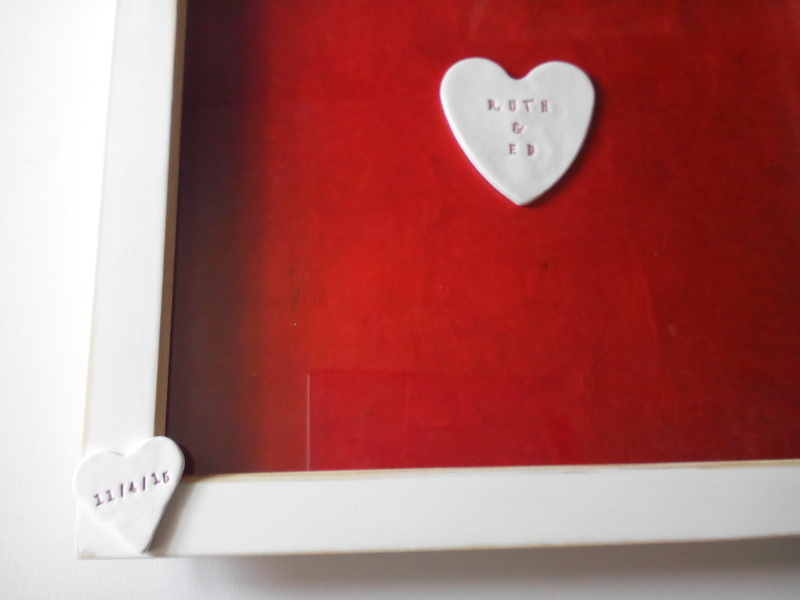 The only piece that is fixed to the back of the frame is the centre personalised heart(s) the other hearts remain loose. 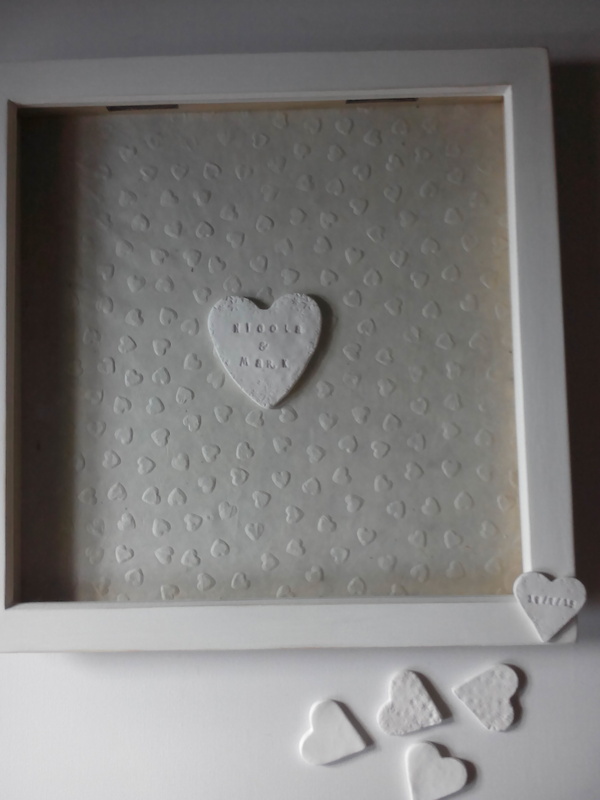 The back can be removed so that you can re-arrange any hearts in the design and order of your choice and fix them to the frame with glue and allow to dry. Cover up the top slit opening with a piece of tape to stop dust entering and your frame is reading for hanging as it has a fixing on the back. 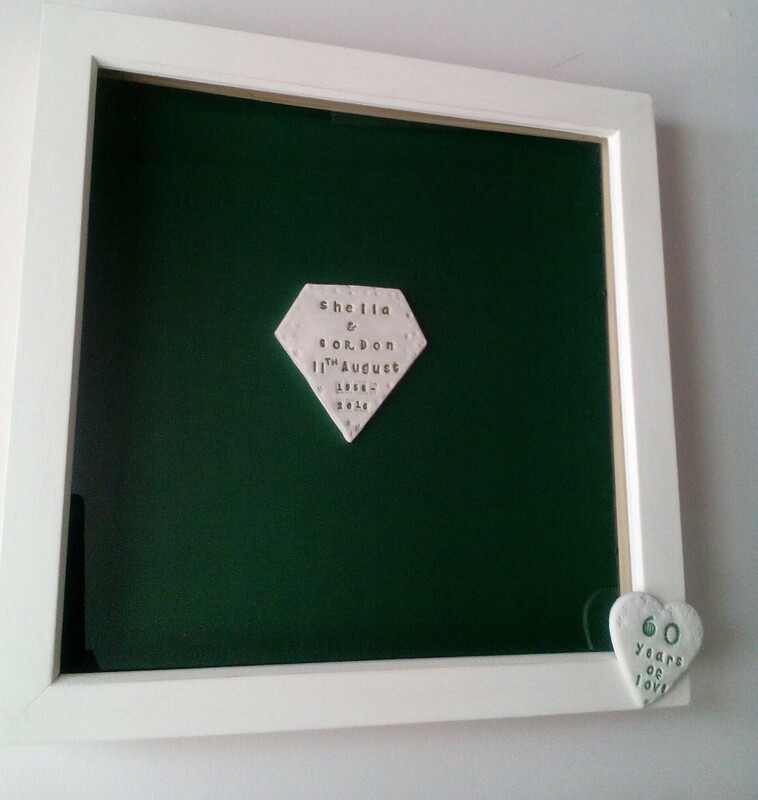 Approx Size of the frame is 35cm x 35cm and the inside is 30cm x 30cm.